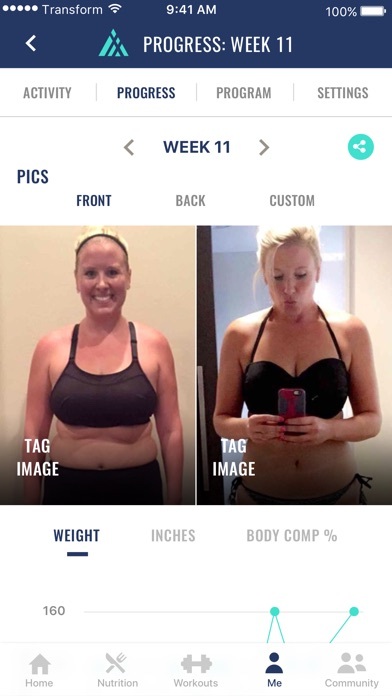 I used this app as a tool postpartum. The meals are easy and quick, the exercises intensify as you go along and get used to the intensity. It pushes you to drink plenty of water and gives you tips along the way. I can’t stress enough the Facebook group page and the amount of support you get from constantly hearing everyone’s success stories and struggles along the apps journey. 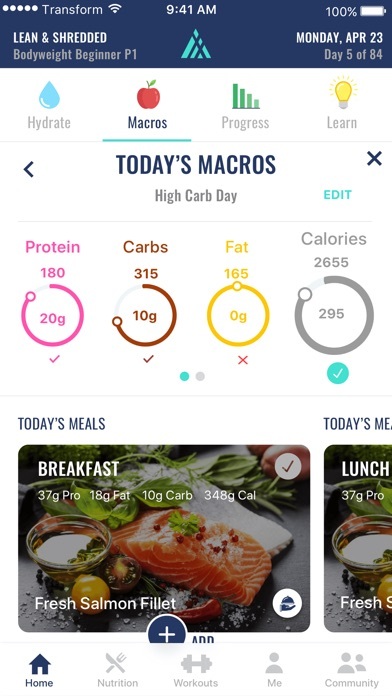 One slight Con: I wish the app could suggest meals that would help you fit the specific (or close) amount of macros needed to get check marks everyday. Customize as you go along the day etc. Otherwise an awesome investment into your prolonging your health and changing your life. I’ve tried canceling several times through the app. They say they will send you a code via email so that you can confirm cancellation and I never receive the email. I’ve emailed customer service and no response. Beware! I don’t recommend buying this app for more than 1 month at a time. Every once in a while they have sales to buy a year in advance. 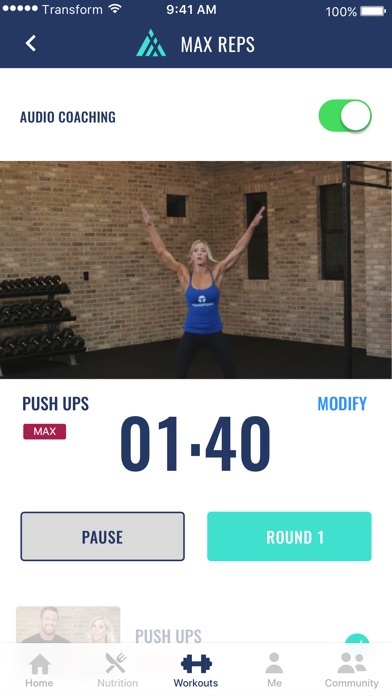 This seemed like a great idea until they stopped updating the app and I ran out of new workouts. When I asked the Transform team they told me to just keep repeating the old workouts. Wondering why I bought the year in advance then?? I want new, harder workouts. I don’t know ant to keep repeating old workouts. Now I’m paying for nothing. Super easy to use. Love the support from the Facebook Group community. 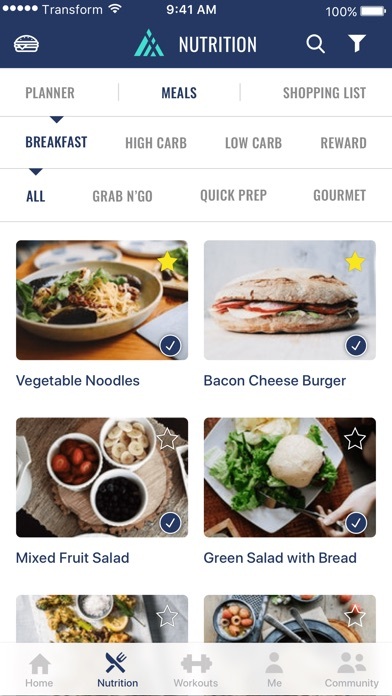 The meal suggestions and shopping list feature are super helpful. The workouts make me sweat but they aren’t impossible. I feel like this is upper flexible for a first timer. It doesn’t feel unattainable. The push notifications (that sometimes get ignored) are actually super helpful in a loving nagging mom kind of way. Overall, I’m a fan. I’d suggest it to anyone looking for a better all-in-one health program. Love, LOVE the app... a few suggestions, though. I absolutely LOVE this app. I love that the nutrition, hydration, and fitness are all in one. I love that I have access to recipes that fit my macros. I love everything about it. I do have a few suggestions, though, to make it better. 1. Custom water amounts when logging water. My favorite cups that I drink out of are 12 oz and 20 oz... It is just inconvenient to have to remember how much I drank until I reach a compatible multiple and then sometimes I forget to log it altogether. Which brings me to my next suggestion... 2. Allow the ability to edit previous days. If I forget to log my water or a snack or something I can’t go back in and fix it the next day. I would like to be able to add/fix stuff after the day has passed so that the app can generate the correct adjustments when I update my progress. 3. Edit/delete progress updates. I have accidentally updated my progress incorrectly a few times, but I couldn’t fix it. It was frustrating. The app is very effective and really easy to use. I used to get lost in the gym and had ineffective workouts. 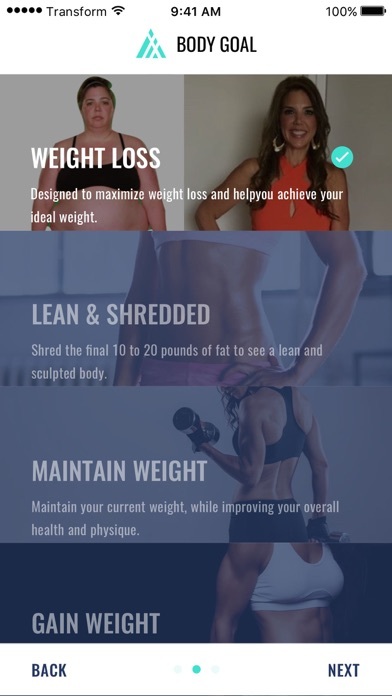 Transform app has totally transformed my time in the gym and my nutrition. It’s such a handy tool with top notch content. This app is everything in one! Just what I have been looking for! 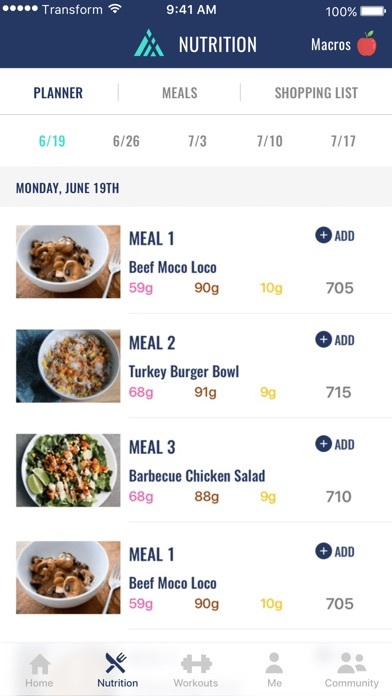 Meal plan and work out plans to fit my goals! 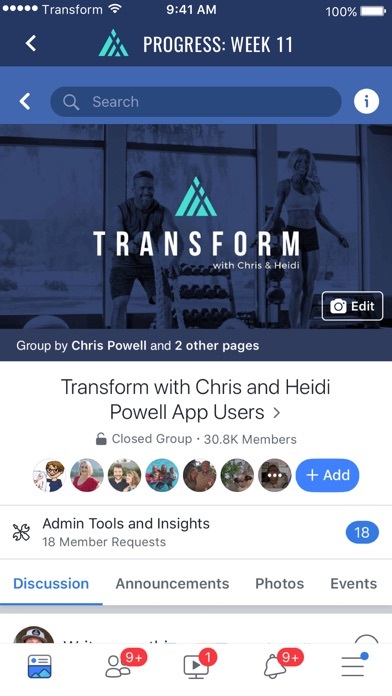 Bonus is the FB group and ambassadors along with Chris and Heidi Powell ! Try it you won’t be disappointed!